Last weekend I had the pleasure of attending the annual conservative RedState Gathering, where nine Republican presidential candidates gave fiery speeches. Although all were very impressive speakers, I kept applying the “Buckley rule” — these days, generally thought of as “nominate the most conservative candidate who is electable” — and did not feel confident that any of them could actually win the White House in 2016. Applying this rule to the 2016 Republican presidential ticket leads me to conclude that Governor Kasich paired with Florida senator Marco Rubio is the most conservative team that could be elected in our politically polarized nation. So, inspired by the wisdom of Reagan and Buckley, here are five reasons why a Kasich-Rubio ticket deserves consideration by even the most conservative Republicans as an electable “half a loaf” (politically, I’d argue it adds up to a whole loaf). Last November on National Review, I penned a piece about why the Electoral College is a big blue barrier to Republicans winning the White House in 2016 or perhaps ever again. However, a Kasich-Rubio ticket could be the GOP’s best chance of breaking that barrier and acquiring the 270 votes needed to win the presidency. 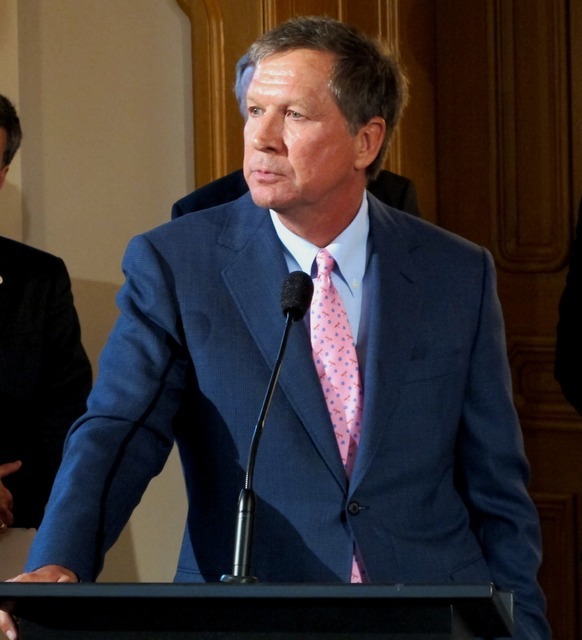 For starters, Kasich is a twice-elected governor of Ohio, a “must win” state for Republicans. In 2014, he was reelected with 63.8 percent of the vote and he currently has a 60 percent approval rating. Shifting to the presidential scoreboard, in 2012, President Obama won Ohio by a margin of only 3 points. Therefore, the chances of Governor Kasich winning his home state are excellent. But adding Ohio’s 18 electoral votes to Mitt Romney’s 2012 Electoral College total of 206 only brings Republicans up to a pitiful 224 votes, miles away from 270. Enter Marco Rubio, who has earned the support of 7.3 of Republican primary voters. Meanwhile, his Senate job approval rating among Florida voters stands at 50 percent positive and 38 negative. Not great, but this could significantly improve if Rubio makes history as the first Floridian ever to appear on a U.S. presidential ticket. To win those remaining 17 electoral votes, a Kasich-Rubio ticket would likely turn to the states that Obama won by less than six points in 2012. Next target is Virginia’s 13 electoral votes with Obama’s slim 3.9 point margin of victory. Then Colorado, with nine votes and another 5.4 point victory margin. Followed by Iowa, with six votes and a 5.8 point margin. There’s also New Hampshire, with its four votes and Obama’s 5.6 point margin of victory. Since the Republican path to 270 is very narrow, voters in these five states (along with the two home states) can expect to become very well acquainted with John Kasich and Marco Rubio. Almost all of those states, though, are either bluish or purple in many ways. Less-than-conservative voters are crucial to winning them, and Kasich looks right for the job. Kasich’s decision to expand Medicaid and justify it on the grounds of his Christianity is a key reason why many conservative primary voters dismiss him, but it’s also among the reasons why it will be extremely challenging for Democrats to portray Kasich as a “war on women” right-wing nutjob. Compared with then-senator Obama’s noticeably thin resume when he ran for president in 2008, Kasich’s resume is deep and full of exceptional experience. From 1983 until 2001, he represented Ohio’s 12th congressional district. Kasich served for 18 years on the House Armed Services Committee, earning him national-security credentials, but even more important, he became chairman of the House Budget Committee when Republicans took control of Congress in 1995. Kasich can brag that he was the “chief architect” of the Balanced Budget Act of 1997. President Bill Clinton signed it, and there has not been another federal balanced budget or a budget surplus since. Then between Congress and the governorship, Kasich hosted his own show on the Fox News Channel. There’s no doubt that his extensive media, legislative, and executive experience positions Kasich as a formidable candidate if or when he is embraced by the Right. Governor Kasich is the Baby Boomer son of a mailman, and in 2016 he will be age 64 — which qualifies him as “old” and “vanilla.” It’s Marco Rubio who brings a unique demographic balance to the ticket: Born in Miami in 1971 to Cuban immigrants, Rubio’s ethnicity offers a much-needed facelift to the sagging jowls of the Grand Old (White) Party electorate. He was speaker of the Florida state house before riding a tea-party wave to the U.S. Senate in 2009. 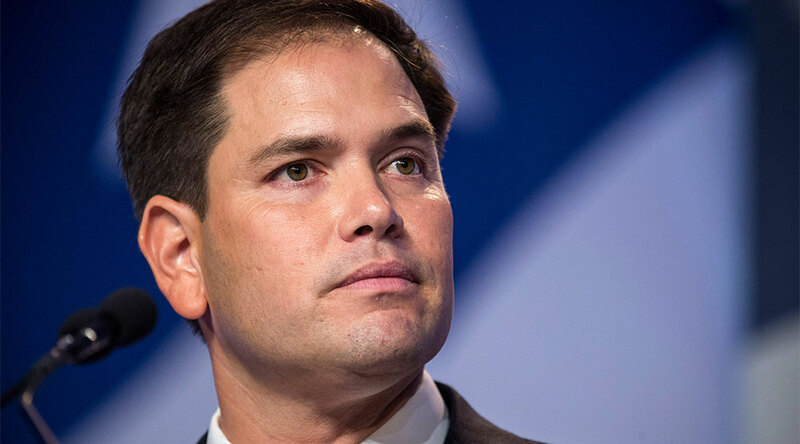 Quickly a rising star, Rubio’s developed expertise in foreign policy and immigration issues. The last issue, of course, meant Rubio has experienced a few Washington ups and downs. Rubio speaks of his life as an American success story and proudly promotes it in either perfect English or Spanish. He is an inspirational speaker, full of passion and conviction about the promise and opportunity that America holds for sons and daughters of all immigrants, but especially Hispanic ones. Of course, this is the voter group that the GOP needs to convert in order to stay competitive: Obama won Hispanic voters easily in 2012, taking a whopping 71 percent of them. Rubio’s presence on the ticket has the greatest potential to deliver the 47 percent of Hispanic voters that could ensure Republicans win the White House. Then, if a Kasich/Rubio ticket could hold or even increase the white vote that Romney won in 2012 (he took 59 percent of white voters), this ticket has a real shot of breaking the Electoral College’s “blue barrier” and winning the White House. The big question is whether the Republican party could unite behind a Kasich-Rubio ticket. It’s up to Kasich to persuade primary voters that he really is “conservative enough” — every Republican needs to win some purple and blue states. Still, the Ohio governor will likely have a tough slog ahead, and hasn’t made it any easier for himself recently: He’s come out in favor of a path to legal status for undocumented workers and stated during theFox News debate that he accepts gay marriage as the law of the land. In the mostly blue state of New Hampshire, Kasich is attracting support, including a key endorsement from a former George W. Bush adviser, dealing a real wound to Jeb Bush’s candidacy. It’s not just New Hampshire where he looks viable, though: Kasich’s impressive Fox News debate performance successfully introduced him to millions of Americans. Kasich is at the moment only supported by 4.3 percent of Republican primary voters, but he only entered the race on July 21, meaning he’s already making real headway. Kasich and Rubio are two vastly different men from different generations who share humble roots and personify the American dream. Equally important, Kasich and Rubio are telegenic, excellent speakers, scandal-free, and, best of all, can be “trusted” — which will be a huge issue and a real advantage for Republicans should they be facing off against Hillary Clinton. I reached out to Newt Gingrich, who was speaker of the House when Kasich served as budget chairman, and he likes the idea, too. “A Kasich/Rubio ticket would be very strong. So would a Rubio/Kasich ticket,” he told me. But for the five reasons stated above, I think the choice is easy. And in 2024, after serving eight successful years as vice president, Marco Rubio could be elected president at the ripe old age of 53.